Belmont students volunteer at tails of the trail at Belmont University Nashville, Tennessee, March 7, 2018. Students from Belmont University spent days of their Spring Break serving the Nashville community, a biannual tradition led by the Office of Residence Life during both Spring and Fall Break each year. One group of students spent Wednesday morning ‘hiking with homeless hounds’ alongside Tails of the Trail, a local nonprofit that works with area rescues to bring volunteers on site, walk rescued pups and assist in pet adoptions. 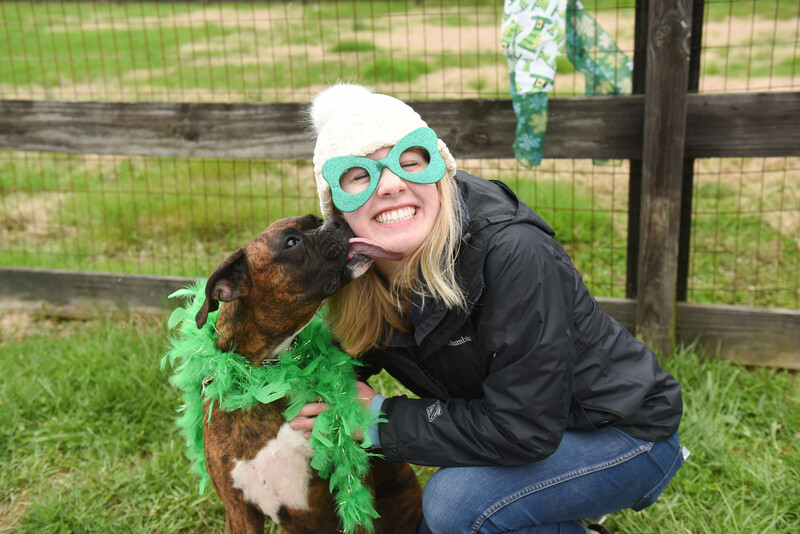 The group was working with Middle Tennessee Boxer Rescue that day and each student was matched with a dog they lead through a two mile hike. The walk ended with treats for all participants — both human and dog! Students also had additional opportunities to serve throughout the week including a trip to Project Cure where they packed boxes of medical supplies. All service participants celebrated the week’s efforts at a fun event held at Sky High Nashville on Friday. The students’ service opportunity with Tails of the Trail was highlighted on a NewsChannel5 feature and can be viewed here.